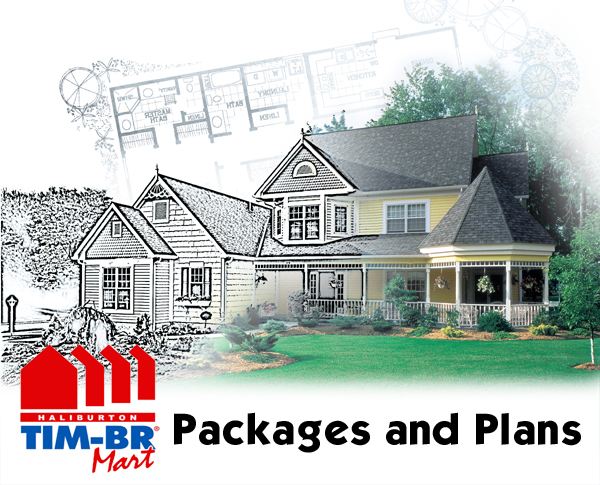 Haliburton Lumber has been providing custom plans and accurate material estimates for over 49 years. Customers can benefit from the experience and building knowledge, we have acquired in producing hundreds of blueprints of every type of residential homes or cottages. You may choose from one of our popular packages, or we can design the perfect home or cottage to suit your personal requirements, your building site and your budget. All our plans are produced by AutoCAD the industry leader in computer aided drafting systems. You can be assured of accurate, easy to read blueprints, which can quickly be altered to suit your needs. This drafting service as well as a complete material list is a FREE service provided by Haliburton Lumber to all it's valued customers. For a virtual tour of some of our different plans we have available please click on the images of the plan book you are interested in.